One of the best known and longest established names in the metal detecting industry, Viking Metal Detectors has been manufacturing and supplying metal detectors to hobbyists and the water industry in the UK and Europe since the 1970's. We pride ourselves on being totally devoted to metal detectors and as such we manufacture nothing else. Export trade is a growing side of our business and we are pleased to report that we now sell metal detectors to dealers in over 10 European countries. 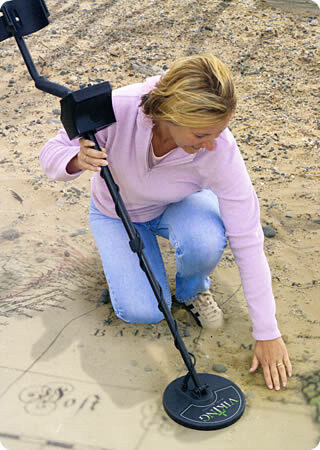 Our metal detectors can be used either inland or on the beach, so wherever you want to detect you can feel assured that your Viking Metal Detector will perform reliably - and make finds. It is often noted that our prices appear to be cheaper than the competition. We assure you that this is not reflected by the quality of our product; we have always tried to bring value for money to our customers and aim to continue to do so. Order a Viking Metal Detector today, either online or by phone, for rapid despatch from our factory. All our metal detectors come with a 2 year guarantee on parts and labour (excluding batteries) and our Customer Service is second to none. If there is any information you require that you can not find on our website, or you would like further advice to help you choose the most suitable metal detector, feel free to contact us and we will be delighted to help.